Robert Zemeckis returns to bring Philippe Petit's courageous story to life in his latest "IMAX" 3D adventure! Philippe Petit's walk between the towers was so intense that the only way an audience would truly get immersed into the experience is by going on the journey in "IMAX" 3D to obtain the full effect of the film. Like Alfonso Cuaron's "Gravity" and Christopher Nolan's "Interstellar", the immersive "IMAX" 3D lets the audience step into the shoes of the main character but falls under the category of only truly being spectacular when presented in that format. 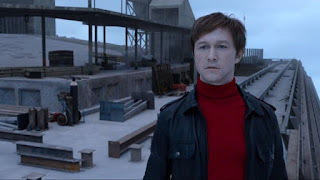 The plot of the film follows Philippe Petit (Joseph Gordon Levitt) who is a "High Wire Artist" with a dream of taking his talent to the next level by placing his wire between the "World Trade Center Towers" and walking across. Such a simple plot but then again this film did have a lot to go against, one being that it's retelling a story that's already been told through documentary format. The documentary I refer to is "Man on Wire" directed by James Marsh that was based off of Philippe Petit's book about the journey. Zemeckis had to battle the "Been There Done That" vibe that was already in the air because of Marsh, but I think he succeeded in making a second reliving of the story worthwhile. 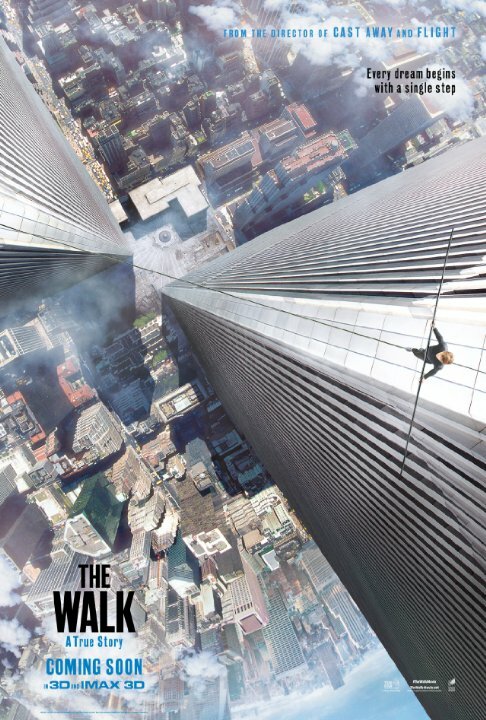 "The Walk" has some of the best visual effects you’re going to see this year, realistic and immersive. The film is also carried by great performances by Joseph Gordon Levitt, Charlotte Le Bon and Ben Kingsley. I have to admit when I watched the trailer a few months back I couldn't help but laugh at Levitt's take on a French accent but honestly within the first 2 minutes of the film you're convinced he is Philippe. Levitt truly immerses himself into his character and makes the journey feel so natural by "Breaking The Fourth Wall" and narrating the journey. I think the biggest accomplishment here was that "The Walk" didn't take itself so seriously. Due to the content I think it was better to go the lighthearted route and basically just make it a fun immersive experience for all ages. If I had to pick one thing to criticize it has to be the score of the film. Alan Silvestrie to me mocked famous scores such as Brian Depalma's "Mission Impossible" score as well as trying to get a 1970's Scorsese New York kind of sound. In my opinion the music just didn't work for me but during the actual journey across the towers the music compliments the scene very well giving it a more fantasy like vibe. "The Walk" also took its visuals to the next level even though the journey across the towers had to be CG, the set pieces looked so authentic that mixed in with the top of the line visuals it looks very realistic. I myself suffer from extreme vertigo and wouldn't dare look anywhere but up if I'm at a tall height. "The Walk" grabbed my vertigo by the neck and shook it during the second half of the film. Some scenes in particular I was clenching my armrest with sweaty palms. All in all Robert Zemeckis never fails to remind us of why he is the man he is today. He brings his light hearted personality into every film he does and tackles his topics as realistically as possible. I was such a huge fan of when "Flight" released in theaters because I knew even though the movie itself would be fantastic, the scene in which the plane is going down would be ever so realistic that I couldn't take it. This is a trait that as a director if you obtain, you will always be in control of what the audience feels which is basically playing God. In closing "The Walk" is phenomenal and I wouldn't be surprised if it secured the nomination for "Best Visual Effects" in the "Academy Awards". 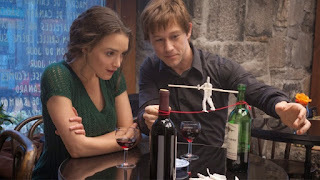 I absolutely loved this film and recommend the whole family to walk "The Walk". It’s the best steps you'll be taking together.